All the email data are backed up in the EML, PST and MBOX file format. Entire contacts and calendar database are backed up in VCF and ICS file format resp. All the documents created with Google cloud can be backed up in the same format precisely. Google cloud storage facility offers direct control over Google networking infrastructure, with Google cloud users can store files of any size and access it individually or in groups. User can store data with Google cloud under two heads (public and private). Public data can be shared or accessed by anyone, but when we talk about private it should be kept safely and securely. And it can be done via the process to save Google apps data from cloud to local machine. Whenever a employee depart from the organization, administrators is left with the two option. First option is to delete his or her account and loose the entire database which was preserved in his account which might be crucial for the company, either administrator pays $50 yearly as to preserve the data by not deactivating the account. 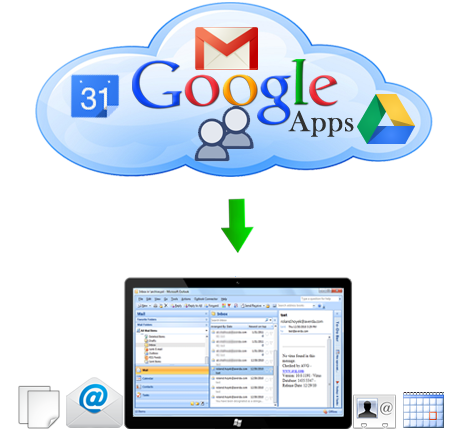 Instead of choosing the mentioned method users can choose a process through which they can save Google apps data from cloud to local machine. Once users opt the process they can save unlimited data to local machine from the cloud. Once users create backup in system then they can delete the data preserved in the Google cloud account as it will doesn't harm the data which is backed up.